Where: Hilton San Diego Bayfront Hotel, San Diego, California. Business Summit Platinum Tier sponsors GISi and Microsoft, along with other sponsors and exhibitors, will be at the Esri Business Summit Solutions Expo open from 2:30 p.m. to 5:30 p.m. on July 18 and from 2:30 p.m. to 8:30 p.m. on July 19 in the hotel’s Sapphire West Foyer. Registration: Visit esri.com/bizsummit. Follow #bizsummit on Twitter. Are you trying to take your business to the next level? 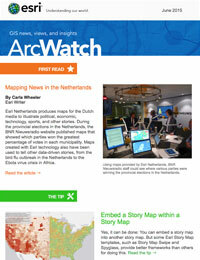 Applying geography using GIS can help you succeed in that goal. That’s why the Esri Business Summit is an event you shouldn’t miss. You will hear some of the world’s top executives and managers explain how they apply geography in their businesses to better serve customers while cutting costs and increasing profits. Retailers, real estate brokers, financiers, marketers, and supply chain and manufacturing managers, as well as sales professionals, journalists, and reporters, come together to share insights on how a mapping platform can unveil the information companies need to find solutions that may be eluding them. The summit will begin at 1:00 p.m. Saturday, July 18, with presentations from the people behind successful GIS implementations at the Philadelphia Inquirer and Walgreens. The presenters will give their perspectives on how they use location intelligence to better serve customers. John Duchneskie is the graphics editor for the Philadelphia Inquirer, a daily newspaper that serves the metropolitan area of Philadelphia, Pennsylvania. He uses GIS software to take a closer look at stories that are being considered for investigation. Can he see an underlying theme for a reporter to pursue? Should the reporter take a different approach? Providing a geographic context to information helps reporters analyze data to catch patterns and trends, saving time and resources while delivering the content that their readers have an interest in understanding. Jillian Elder from Walgreens will explain how her company uses GIS to help produce the weekly Walgreens Flu Index. 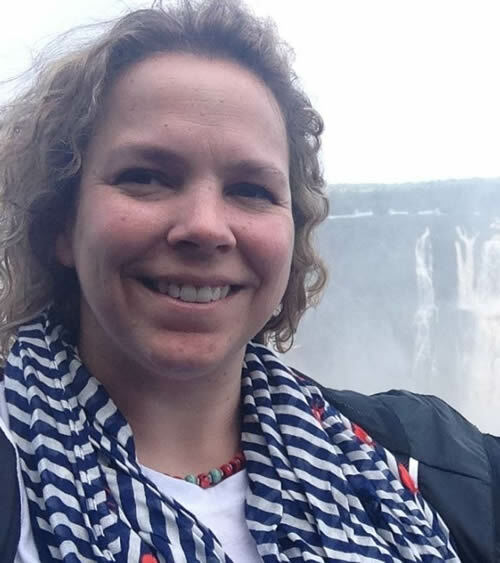 Jillian Elder, director of enterprise location intelligence at Walgreens, will talk about an innovative project that helps to keep communities healthy. The Walgreens Flu Index is a weekly report created in 2014 and shared on news.walgreens.com that provides specific information on flu activity down to a single ZIP code level. Collecting, analyzing, and sharing this information using Esri ArcGIS means that Walgreens can help communities prevent illness while the company provides valuable information to both local and national health departments and the media. The day’s talks will close with a presentation by Bruce Wong, manager, Advanced Network Analytics at General Motors (GM) discussing how GIS has helped his company and its dealerships make sense of big data. Using geography as a filter, GM staff and dealers can piece information into smaller, more understandable, actionable bits of knowledge. This knowledge can be used to model performance in smaller areas, allowing the company to see demographics of potential customers based on where they live. This helps GM and its dealers discover regional differences that can be used to better understand their customers and, ultimately, provide better service. Presenters from ANZ, the third-largest bank in Australia, and JPMorgan Chase, a leading global financial services firm located in the United States, will discuss how they weathered financial markets successfully by changing the way they look at data, and what questions they ask to get the right answers. 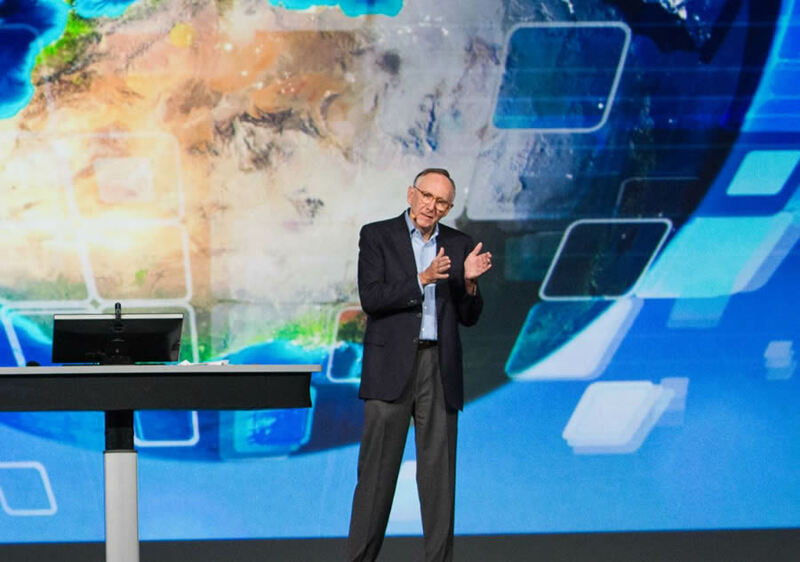 Esri Business Summit attendees will have the opportunity to hear Esri president Jack Dangermond's thoughts about where GIS will go next. Representatives from insurers, including American Modern, will talk about how visualizing geographic data helps them build strategies and manage big trends by connecting with user groups, communicating both internally and globally, and enhancing product development. Business Summit attendees also gain access to the 2015 Esri User Conference at no additional cost. Join 16,000 of the world’s GIS professionals to hear about the latest geospatial technology and data. The Plenary Session, which will be held July 20, gives attendees the opportunity to learn how other types of organizations use GIS. On July 21, you are welcome to attend user presentations in a variety of industries. There will be more than 900 sessions to choose from, including ones for banking and financial services, insurance, real estate, entertainment and leisure, and retail. Find details in the online agenda. You also may want to attend a Special Interest Group meeting of your choice including in areas such as retail, real estate, insurance, banking and financial services, the media, or indoor mapping. Check the agenda for times and locations.